2 What is The Panel Station? 5 How to Earn Extra Points & Extra free paytm cash? 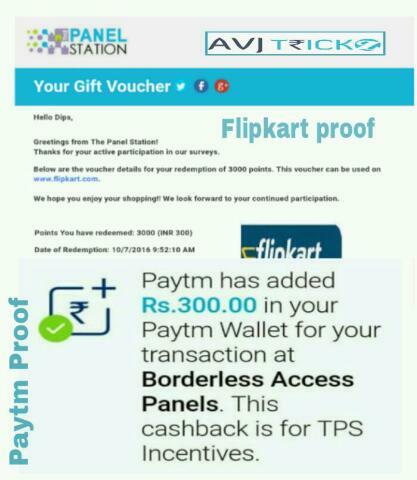 Panel station earn paytm cash– Hi Guys, Welcome back to avjtrickz free trick and tips zone. Now we are here with one new way to earn paytm cash by just filling little short surveys which are really interesting and easier. Hope you likes our Free Paytm cash tricks. This time you can earn big and this is a different post so must read the whole article! The Panel Station Survey Portal is very secure, verified and best portal for earning many rewards like Paytm Cash, Flipkart Vouchers etc. What is The Panel Station? The Panel Station is the Biggest Online Survey Portal where users earn rewards on completing surveys. Every survey fetches you reward points ranging from 100 to 5000 depending on the complexity and length of every survey. The Panel Station automatically credits the points earned to your account. You need minimum 3000(INR 300) points in your account to start redeeming. The Panel Station App has recently started a Loyalty Program for their app. It is their way of saying Thanks to the Panel Station Users. If you keep the App Active and use it for 30 days then you will be rewarded 500 Points (=Rs 50) for the first month then 1000 points (=Rs 100) every month from next month. Means you will get 1000 points every month just for keeping the app installed and active in your phone. You just need to sign up at The Panel Station and then fill up your profile and wait for the invitations of the Surveys. You may also known another best survey portal Valued Opinions . Both are very easy and you are really going to enjoy it and you will definitely fill up your pockets with exciting rewards. We added tips for easy earning, so read the full post! Now follow the below instructions to earn from panel station! ◾ They serve more female targeted surveys, so register using Female Details. ◾ Now you have to select your city, so to get more free paytm cash, select one city from the given list only. ◾ Enter your date of birth and make sure you cross at least 18 years. If not then just in Birth year enter 1998 or less than 1998. 3. Then fill out other asked details, Click on Agree Terms and Conditions and Verify the Captcha. 4. Finally click on Sign Up button to submit all your details. 5. Now you will be sent a verification mail on your registered email id. Just check and verify your account. 6. That’s it. Your account is active now. You would get your Password through mail. So check it. 7. Then Just login to your account and on dashboard you will see lots of Surveys and Offers. 8. After that Start completing them. They are bit easy and you easily make Rs.300 in just few minutes. 9. You will also be notified everytime through mail for new offers and surveys. So always check your mail box. 10. Now you need to complete your 4 profiles to get 1200 Points instantly (Rs.120). How to Earn Extra Points & Extra free paytm cash? 2. You can also Earn 1000 points = Rs. 100 Every month by keeping active on panel station app. Download it Now! ◾ You can redeem your points for earn paytm cash, flipkart vouchers, amazon vouchers and many more reward options. ◾ Minimum redemption points are 3000 (Rs.300). ◾ After getting 3000 Points, just goto Your Points and click on Redeem button for your favorite reward!. ◾ Select Paytm if you want free paytm cash or else select whatever you like and redeem. Let’s see the proof below! Panel Station is a diverse community of over 1.5 million consumers from world’s fastest-growing economies. As a member, your opinions on consumer goods, technology, healthcare, travel, and finance help global brands build better products and create better experiences. So, what are you waiting for – share your thoughts with the world’s prominent brands and get rewarded. they disburse USD $2 million+ worth of incentives to our worldwide members every year. With the strong support of their community members, they are shaping to become one of the world’s largest consumer panel and a premier global provider of consumer research information to major corporations. They are a part of Borderless Access Pvt. Ltd. an online market research survey & panel company. They specialize in providing consumer insights via online panel services in emerging & hard-to-reach markets across the world. They value your data security, privacy, and confidentiality. The Panel Station is an ISO 27001:2005 certified company. a) What is The Panel Station? 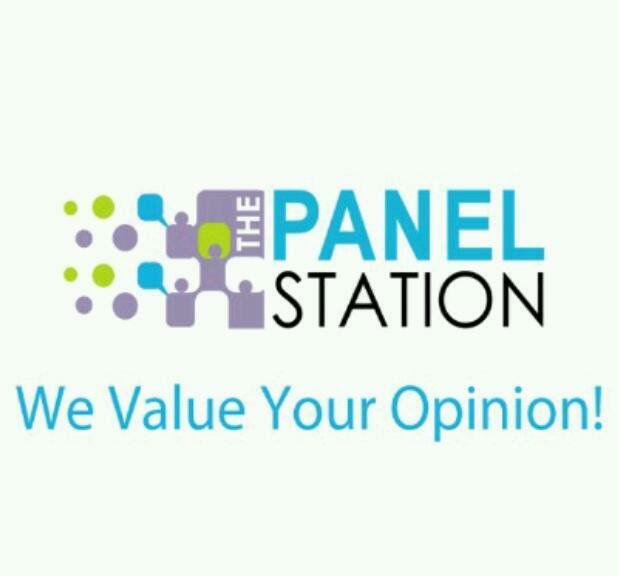 The Panel Station is an online community of consumers who regularly share their views and opinions on a variety of issues by participating in market research surveys. By participating in these surveys, members of The Panel Station influence decision making in organizations worldwide, and help in the creation of improved products and services. b) Why should I become a member of The Panel Station? If you have a point of view on the products and services that you use in your daily life and believe that your opinion matters, then The Panel Station is the place for you. Through its surveys, The Panel Station enables you to share your views and influence decision makers across industries. What’s more, your opinions will earn you exciting prizes! Each survey you participate in will help you win reward points and a variety of gifts, instant prizes, and vouchers. c) How does The Panel Station make money? The Panel Station caters to organizations and market research companies seeking authentic consumer opinions. We help them by delivering your views on issues related to their products or services and are accordingly remunerated for this service. Our members are in turn, rewarded for their time and participation in each survey. d) Does The Panel Station operate in my country? While the community’s opinions reach clients and organizations worldwide, The Panel Station is currently open to the legal residents of India, Brasil, Russia, China, Mexico, Argentina, South Africa, Indonesia, Turkey, Philippines, Poland, South Korea, Taiwan, Chile, Nigeria, New Zealand, Colombia, Australia, Singapore, KSA, UAE and Thailand. a) How do I become a member? To register as a Panel Station member, simply click on Sign Up. You will be asked to provide some basic information during your account creation, as well as some information about yourself in order to participate in our numerous surveys. After you sign up you will be sent a confirmation email in order to finalize your registration. b) Can other members of my household also join The Panel Station? Sorry, but only one email address/member is allowed to register with The Panel Station. The member who joins should be the person who wants to take most surveys. The good news is that other members of your family can still take our surveys! Look for invitations asking for opinions from “the teen in your household” or “the male in your household”, etc., and ask the appropriate family member to respond. Any rewards and prizes other family members earn will be added to your rewards account. c) Is membership to The Panel Station free? Absolutely. You will not be required to make any payment to become a member of The Panel Station. On the contrary, each survey you participate in will earn you reward points which can be redeemed for vouchers and exciting prizes! The Panel Station is not going to sell you anything. We are only interested in your opinions. So thanks for reading this article. If you face any problem feel free to comment below. We will try to solve them as soon as possible and will be back soon with another awesome tricks! Ok I will try it..